Today, Kanye West is known for his work as the starring act and main attraction. Sometimes it’s hard to remember that Kanye became a megastar by coming through the backdoor as a producer. A decade ago, Kanye wasn’t full-time rhyming yet. Instead, he was making a name for himself by crafting soul-heavy beats for classic like Jay-Z's The Blueprint and Scarface's The Fix. Shortly after, 'Ye began his epic run as a solo artist, producing the large majority of his own material. It's from that catalog that we've witnessed many of Kanye's best productions, including era-defining instrumentals like "Stronger" and "All of the Lights." But 'Ye has still always found time to cook up a banger for another artist. The same process that put him on the map helps keep him relevant as one of hip-hop's best beatsmiths. With Kanye's G.O.O.D. Music compilation, Cruel Summer, officially out tomorrow, it's a good time to consider all of the work he's put in to get here. We're taking a look back at the days when he was a producer for hire, working with artists like Beanie Sigel, Monica, and Nas. Of course, 'Ye produced a bunch of hits after his superstar status was cemented, too. We've taken it all into account. 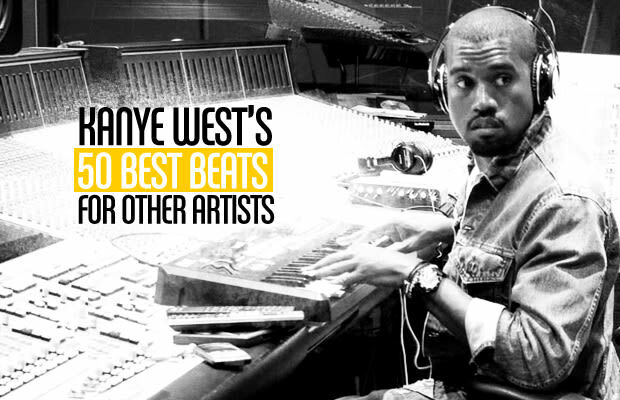 These are Kanye West's 50 best beats for other artists. RELATED: 10 Things You Didn't Know About Jay-Z's "The Blueprint"